How do you want to feel when you walk in your home? I like to feel welcomed, relaxed, happy, and even excited! I mean after all, more than likely, you are walking in after a long day of work, running errands, taking the kids to practices, etc. 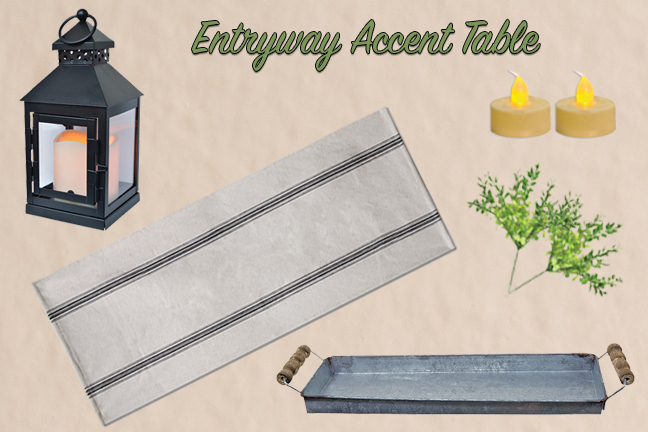 You can get all those great feelings by giving your entryway a little TLC…farmhouse style! We all have a table to catch our keys as soon as we come through the door. Give it a bit of pizzaz with some farmhouse touches! First, you absolutely need a runner; it’s a nice accent and it will also protect your tabletop from all those daily key drops! I made a little candle display in a Galvanized Tray, remember this from my other post about farmhouse must-haves!. I love, love, love this Timer LED Lantern. It is so cute, so farmhouse, and with the timer I can turn it on and forget about it! Well, let’s be honest, even without the timer I would turn it on and forget about it (#MomBrain)…but at least the timer won’t let me waste batteries! I spruced up the area around the lantern with two Lemon Beauty Picks, and two Ivory LED Tealights. These tealights aren’t timed, so if you are like me, you might want to get some of the Replacement Batteries too! Don’t you just LOVE it?!! Did my inner Joanna nail it? And look, I spy a little baby Isabella! ❤️! This was so fun to create, but I am sad to report that my tresses didn’t magically grow long and lustrous. Ahh, I shall forever envy Joanna’s flawless hair. Ha! Let me know what you think about this farmhouse wall and table! Are you ready to give your entryway a little TLC? Can you send me your doll collection? I would like to see what is available. 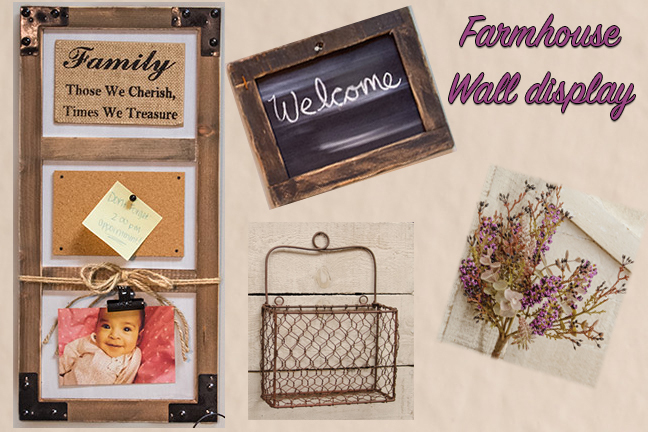 Your farmhouse entry display was right on! I also admire Joanna’s style. There is so many great pieces to choose from at KPcreek catalogs and on line. Love it! Thanks for the compliment Susan! I’m glad to hear my inner Joanna nailed it! Happy to hear you love KP products! Thank you for being a fantastic customer!